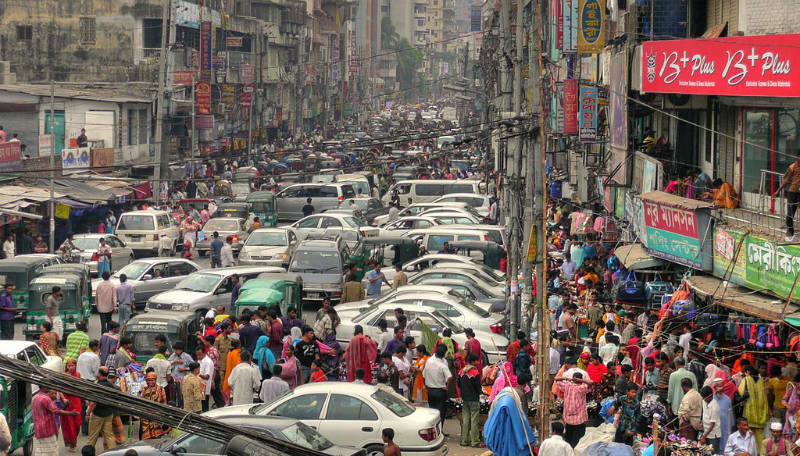 Did you know that Dhaka residents take 3 hours to cross a distance of less than 10 km? Or that one men built a plane just to cut his 14-minute commute to work? If you think your commute is bad, here’s everything you should know about work commute to help put your own commute into perspective. People in different parts of the world opt for different means of travel – motorbikes, ferries, minibus taxies and bicycles are only some popular choices. Bangkok is reported to have 8 times more cars than its existing roads can realistically accommodate – so traffic jams are quite common. A more pleasant alternative are boats – people who have to cross Bangkok’s canals usually opt for this way of commuting to work. 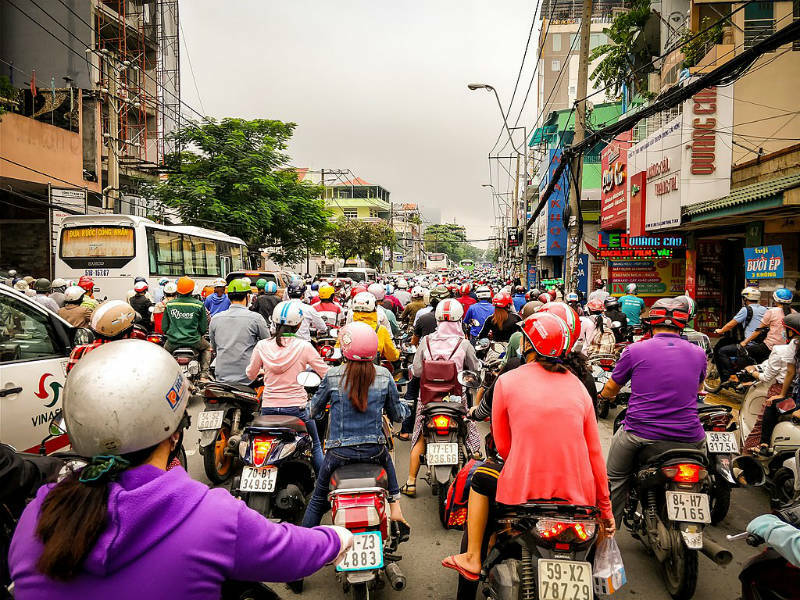 Bicycles and motorbikes are a famed means of commute in Vietnam – there are more registered motorbikes than there are households. Ferries are a popular commute option for Istanbul workers – probably because some of them live in the European part of the city, and have to cross the Bosphorus strait to get to their workplaces in the Asian part of the city, and vice versa. People from Johannesburg in South Africa often commute with minibus taxis, who pick people up along the road – people have to learn specific hand gestures that signal the driver they want to board or get off. South Africa as a whole also has an unusual taxi-related phenomenon – Taxi wars between minibus taxi drivers and regular taxi drivers are common enough to have their own Wikipedia page. 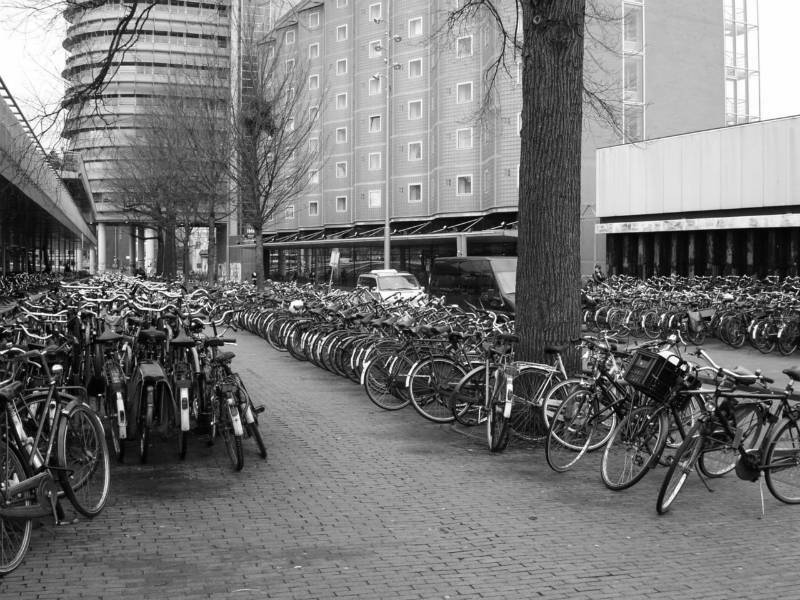 In Amsterdam, the cycling capital of the world with 881,000 registered bicycles, bicycle traffic jams are not an unusual sight. If you commute every day, it’s easy to believe you have it worse than your colleagues who instead have to endure just a short walk to work – but, some people around the world most likely have it much worse (or at least much weirder) than you do. 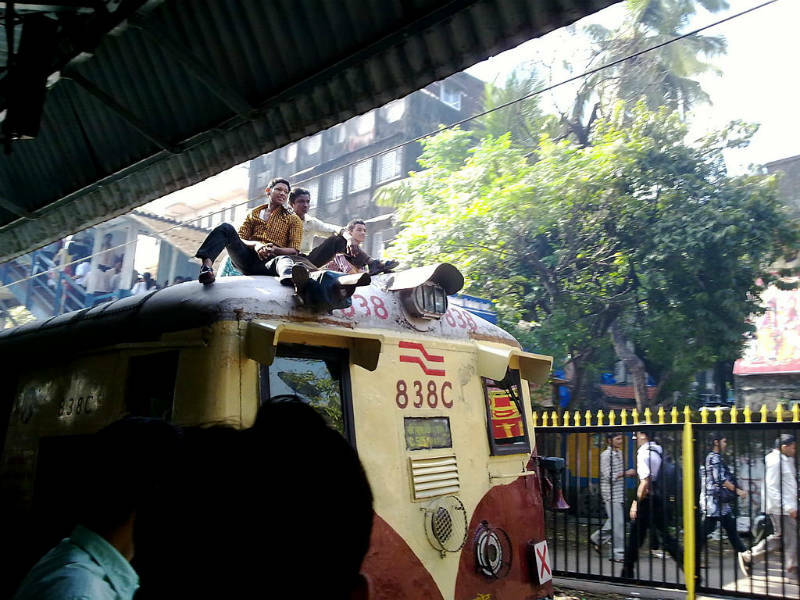 In India, 23 million passengers commute by train every day – some by hanging onto the side of the train, as there’s usually no room for everyone in the actual train. In Tokyo alone, 8 million passengers every day commute to work in overpacked trains, probably with no personal space at all. There’s even a person called a Pusher (“railway station attendant” is the more elegant synonym), whose job is simply to push people onto trains before they’re even able to close the doors. 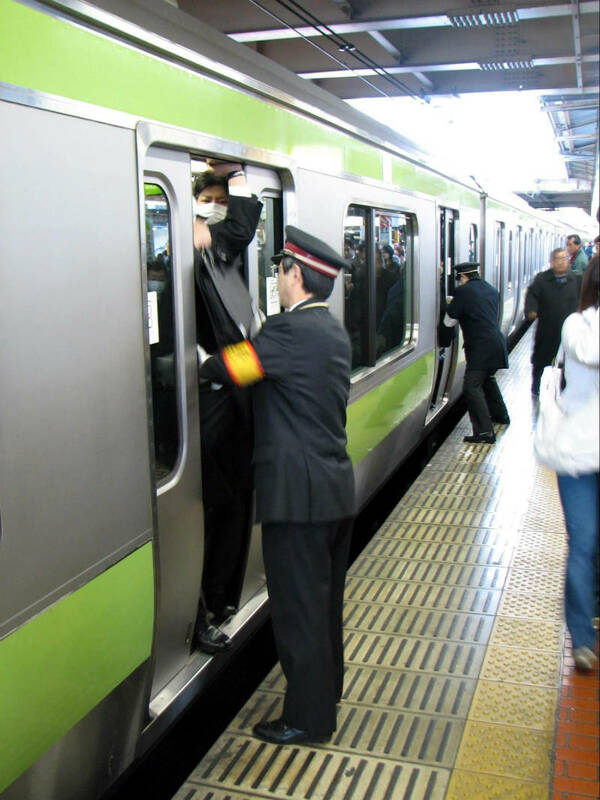 Trains, metros, and subways in New York, Beijing and Madrid also employ this kind of personnel from time to time. Rush hour at Ueno station, Yamanote line. This Wikipedia and Wikimedia Commons image is from the user Chris 73 and is freely available at //commons.wikimedia.org/wiki/File:Rush_hour_at_Ueno_02.JPG under the creative commons cc-by-sa 3.0 license. Everyone’s heard of Extreme sports and Extreme couponing – but fewer people have probably heard of Extreme commuting. As New York Times reports, Sheila James, a public health advisor from Stockton, has an 80-mile (129 km) commute to work every day. She wakes up at 2:15 a.m., changes 2 trains and a bus, to get to her workplace at 7 a.m. in San Francisco. Sam Cookney, a social media manager, lives in Barcelona and takes 2 trains and a cheap flight in order to get to his workplace in London at 9:30 a.m. every day. He may have to commute longer than if he choose to live in the same city where his workplace is (or at least in the same country), but, as he claims, the rent’s cheaper. David Givens, an electrical engineer, used to undertake a 372-mile (526 km) commute to work from Mariposa to Cisco every day – an endeavor which, depending on the traffic, took about 3.5 hours in one way. For this unusually long commute, he has won $10,000 in a contest for “America’s Longest Commute”. Musavvir Mahmud Seazon, a Research Assistant at a Bangladesh University, takes 33 minutes to travel 16 miles (9.9 km) – but only according to a theory suggested by Google Maps. In reality, many Dhaka residents have to endure somewhere between 1.5 and 3 hours every day to cross this small a distance, due to near-impossible traffic jams. There are also entire cities that experience excruciating commutes – Beijing workers living at the outskirts of town have to endure a 6-hour commute every day to-and-fro work. Though these commutes seem unusually long, the number of extreme commuters is on the rise. From 1980 to 2015, the percentage of people who have to endure long commutes has risen by 8% in the US alone – which is the sharpest rise in commute statistics for that time period. There are also people who forgo tradition and choose unusual routes and means of travel to get to their workplaces, just to save time. Abdul Mallik, a teacher from India, chooses to swim through a river every day to get to his students, as an alternative to 3-hour bus ride he’d have to endure otherwise. Paul Cox, a Royal Navy overseer, travels for work from Gwalchmai to Holyhead Boatyard in north Wales by paramotor – and he needs to gain clearance from the Royal Air Force every time before take off. Frantisek Hadrava, a locksmith from one Czech village, considered his 14-minute drive to work too demanding – so he built himself a plane to cut that commute time in half. 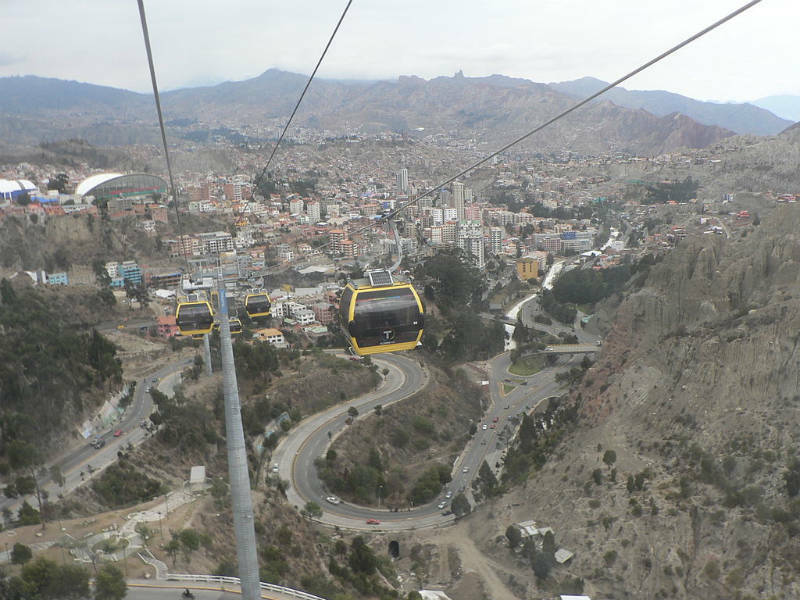 The idea that you can avoid traffic jams by flying over them isn’t just the idea of individuals – Bolivians as a people can enjoy wonderful sights and amazing views during commutes, considering some of them commute by cable cars. In essence, some people around the world have to suffer a long commute, and some choose to avoid it by opting for a near-bizarre way to get to work. But, how long does it take for most average people, and what means of travel do they choose? What is your daily commute to work like? So, you can probably rest assured that your own long commute isn’t the worst, or the most unusual – you probably don’t fly a plane or paramotor to work, or spend 6 hours on the road in total every day. But, you probably do spend a certain amount of time on commutes. So, here’s how average people commute to-and-fro work, what means of transportation they use, and how long it all takes, traffic jams included. 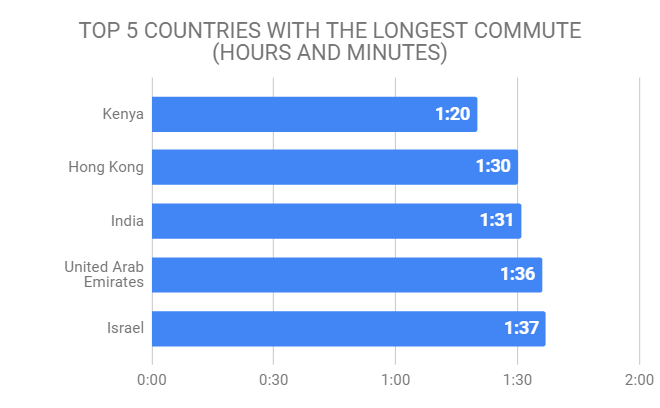 Israel is a narrow winner in this category – with 1 hour and 37 minutes, it surpasses the second country with the longest commute, United Arab Emirates, by 1 minute. India (1:31), Hong Kong (1:30) and Kenya (1:20), round up the top 5. Japan is a sure winner with 39 minutes on average – but, the previously mentioned mix of overpacked trains and specialized personnel who push you onto said trains doesn’t really make them sound as commute winners. 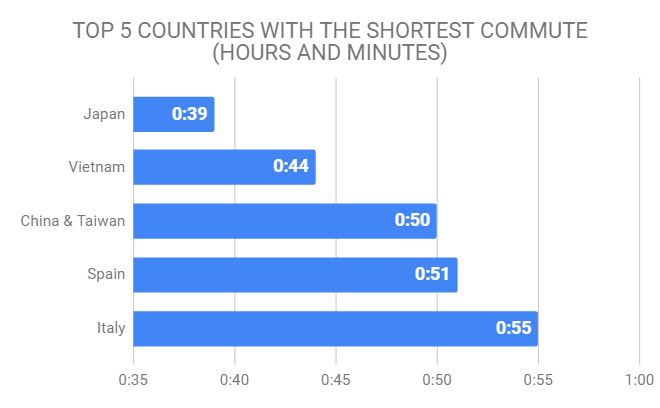 People from Vietnam take slightly longer to commute (44 minutes), while China & Taiwan (50 minutes), Spain (51 minutes) and Italy (55 minutes) round up the list of top 5 countries with the shortest commute – with no country reaching a full hour. As evident, car reigns supreme, with many prominent cities choosing it as a means of travel, such as Houston (where a whopping 91.43% of workers commute by car), Los Angeles (83.33%), London (50%), Madrid (46.15%) and Rome (39.13%). As expected, commuters from Tokyo (49.06%) and New York (46.81%) usually take the train or metro. In Phanom Pen (53.85%) and Hanoi (41.67%), motorbikes are the most popular (and most practical) way of traveling to work. 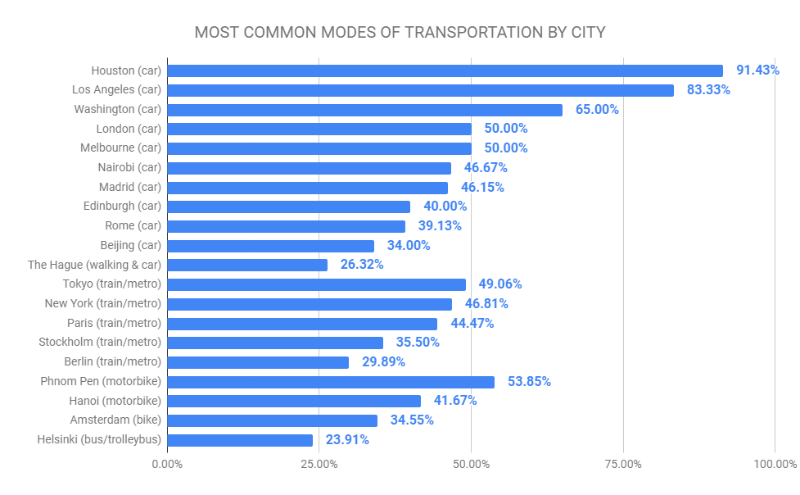 In line with being the world’s cyclist capital, Amsterdam is the only city where bicycles are the most common means of travel (34.55%), while Helsinki is one of the rare cities that favors the bus or trolleybus (23.91%). Most workers opted for cars, vans, trucks, bicycles, taxis or public transportation – some even managed to avoid traffic jams altogether, by opting to walk to work or work from home. 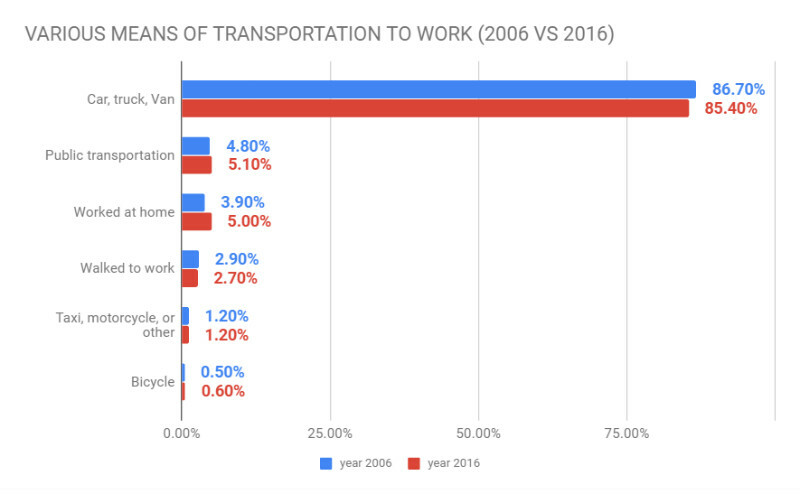 Cars, vans, and trucks have reigned supreme, and are likely to keep the 1st place in the future as well – 86.7% commuters used them to get to work in 2006 and 85.40% did so in 2016. The second most used means of commute, public transportation, took on a significantly lower share – only 4.80% in 2006, and a slightly larger share, 5.10%, in 2016 opted for public transport to get to work. Some people managed to avoid tedious commutes and getting stuck in traffic altogether – there’s been an increase in the share of people who worked at home from 3.90% in 2006, to 5% in 2016. Commute time is only half of the story – people also spend a substantial amount of time simply stuck in traffic, sitting aimlessly in their seats, with the feeling that the long line of vehicles is never going to move. Here are the 20 cities with the worst traffic in the world, according to INRIX Global Traffic Scorecard made in 2017. Los Angeles “wins” 1st place, with 102 hours people have spent stuck in traffic in 2017, while Moscow and New York are a close second, with 91 hours each. 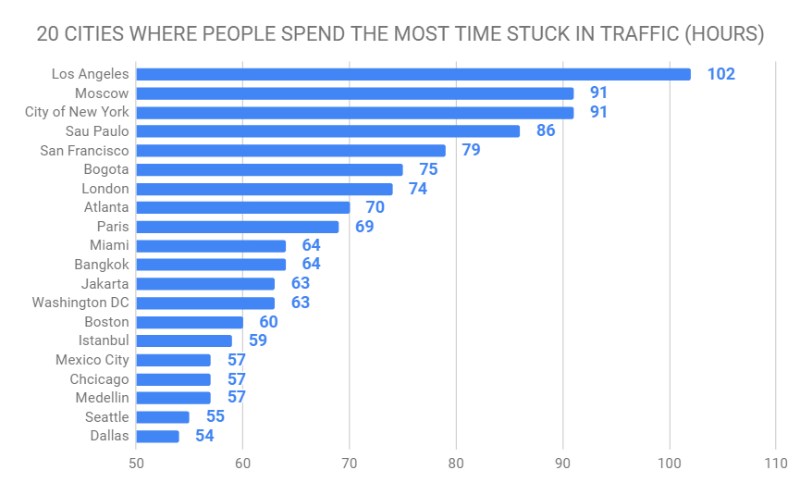 Seattle and Dallas seem to have it easiest, with 54 and 55 hours of wait-time in traffic, respectively – though this is still roughly 2.5 days a year of being stuck in traffic. Not only does commute take away from your time, it also takes its toll on other areas of your life – it increases costs, affects your family and work life, as well as causes physical and mental health problems. Studies imply that long commutes affect your physical health – one study in particular claims that 19% of people who commute for more than 30 minutes view commutes as big mental and physical burdens. According to a study from the American Journal of Preventive Medicine, longer commutes may cause metabolic and cardiovascular health problems – you have to sit more, which leads to less time for exercise, which in turn causes your blood pressure to rise. You’re chances of becoming overweight also increase. Another study, published in BMC Public Health, supports these findings and adds that long commutes are also likely to increase your stress and decrease your energy levels. People who have to suffer long commutes also call in sick more often, because they are more likely to fall prey to various illnesses. Long commutes are also likely to exhaust you emotionally and cause a number of mental health problems – considering you’ll have less time for important non-work activities, such as sleep. One UK study covering 34,000 adults states that commutes that last longer than 30 minutes lead to increased stress and decreased productivity levels. Long commuters are 40% more likely to have financial worries, and also 12% more likely to suffer from work-related stress. Depression is one other problem you may encounter – people who suffer long commutes are 33% more likely to suffer from this serious mental illness. Anxiety is another likely problem that emerges from traveling a long way to work – The UKs National Statistics data that covered responses from 165,000 people, shows that London commuters are the most anxious people in the UK. Apart from mental and physical issues, long commutes can also cause other problems. The most common, although not unexpected, phenomenon is that these people are more likely to get divorced, according to a research from Umea University in Sweden. And the reason? Commute spend even less time with loved ones, which causes couples to grow apart. The same research states that couples who stay together for 5 years while one of them is commuting, are more likely to stay together in the future – and “weaker” relationships are likely to fall apart before the 5 years are up. So, commutes are a great, though often unpleasant and unwelcome, way of testing a relationship. Whether you walk to work, cycle or drive, you can easily listen to podcasts – they’re inspirational, educational and help you grow both personally and professionally. And, they only require a phone and a reliable pair of headphones. The number of available podcasts seems endless, and everyone can find something to their liking – history, science, medicine, art, productivity, anything that may interest you, likely has a podcast covering it. If you can’t decide on the topic but are interested in a number of subjects (including debunked popular myths), you can try Stuff You Should Know. 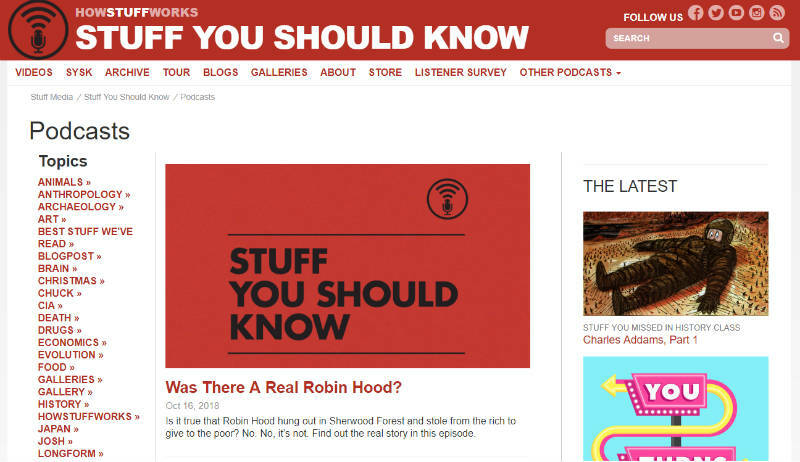 This podcast ponders intriguing topics such as the existence (or non-existence) or Robin Hood, whether the five-second-rule for food really matters, and what inventions managed to kill their inventors. And those are just some of the more recent tracks. You most likely have a lot of work to do when you finally get out of traffic and reach your workplace – so why not ease the workload by performing some work doing commutes? This practice is especially useful (and not at all recommended if you’re driving by yourself) for people who use public transportation to commute. If you have a steady internet connection, you can use commutes to go through your emails and save some of the 13 hours per week you usually spend on inbox management while at the office. You can use commute time to sort and organize your mail, delete unwanted messages, so that they don’t clutter your inbox, and even answer some more urgent emails. You can also use this time to go through matters you don’t need assistance from your colleagues for, such as reading a project proposal. If you’re a writer in charge of a blog, you can use your commute for a brainstorming session, go through some of your ideas, or conduct research for your next blog post. You can even use this time to make plans: compile a to-do list for today, or the entire week, consider your short-term and long-term goals and devise the steps that will help you reach them. You can even make an overview and review of everything you achieved in the last quartal, to see where you stand in terms of your career (or personal life). Commuting to work increases your stress levels and mindful meditation decreases your stress levels and anxiety, so it’s only logical to try meditating while on a commute. YouTube offers a number of meditation videos you can use to guide you, but you can also try one of the many apps available for the purpose. According to one research article, mindful meditation may also help you think more rationally, so, if you’re wondering about an important work decision while on a commute, meditation is likely to help you. Books are another great cure for commute-induced stress – according to one 2013 study, reading books reduces stress levels by a whopping 68%. If you’re looking for an interesting take on where the world is heading next in terms of innovation, try The Industries of the Future by Alec J. Ross. You’ll get a fresh insight into the forces leading the world today, and what changes we may expect in the next 10 years, with tips on how we can adapt. The War of Art is great for any professional suffering from the occasional creative block, as it can give you great guidance on how to overcome these blocks and get meaningful work done. If you drive to work, you can try out an inspirational and educational audiobook – Storm in a Teacup: The Physics of Everyday Life is a great choice for everyone interested to learn something new about physics in an interesting and informative manner. These books are just the tip of the iceberg – anyone can find his or her perfect book companions to help tedious commutes fly by, you just have to do your research online, in bookstores, and libraries. You’re probably interested to learn a new skill, two or ten – and again, commutes are perfect for this type of activity. You can choose from a number of topics that interest you, as most have classes available online – this includes fashion design, workshops, astrology, cartooning, hand lettering, scrapbooking, and almost any topic you can think. One interesting online class that stands out is Gmail School – you’ll be using your commute time productively, while also learning how to be even more productive, through systems that help you manage your inbox better. If you often feel stressed, overloaded with work, or in a rush, you can even use commute time to relax and work on your personal self-care. If you travel by public transport, consider taking a nap. It may not sound as time productively spent, but getting enough sleep is important for your productivity – and the muted, rumbling sound of traffic you’ll hear from the comforts of your train, taxi or metro seat is perfect for naps. If your regular commute route, or means of travel, is wearing you down, change things up – instead of riding the car to work, find inspiration in Amsterdam, and try out a bike. Consider a different route to work – you may discover an interesting coffee shop or bookstore you didn’t even know was on your way to work. Or, you may simply discover that the alternative route actually has fewer traffic jams than the one you insisted on for the last couple of years. If you find a way to enjoy your commute and make it more interesting, you’re likely to resent it much less. In the end, it’s best that you mix these activities, and tackle them sporadically during commutes. Wake up earlier on Friday to try out a new route while taking your time before you get to your workplace, to reflect and relax. If your commute is a longer one, you may even have time for all of these activities – eventually, you’ll probably learn not to view commute time as a burden, but as an opportunity to expand your horizons, relax, reflect, and get more work done. Commutes are a necessity to workers around the world – some enjoy short commutes, some are bound to undertake extremely long commutes, some opt for regular means of transportation, and some are inspired to push the boundaries. But, whether you travel by car, train, metro, van, ferry, bike or paramotor, and whether your journey takes 10 minutes or 6 hours, you can find a way to enjoy your work travel and productively make use of this time. You just have to find what works best for you.